美国一名副警长夜晚执勤时被射杀 [美国媒体] A deputy U.S. Marshal was shot and killed in the line of duty Thursday evening in Tuscon, Arizona. A deputy U.S. Marshal was shot and killed in the line of duty Thursday evening in Tuscon, Arizona. Deputy U.S. Marshal Chase White, 41, was shot while trying to serve a felony warrant to 26-year-old Ryan Schlesinger at a residence in the city's Miracle Manor neighborhood around 5:30 p.m. local time. The marshal was with other service officers at the time, authorities said. 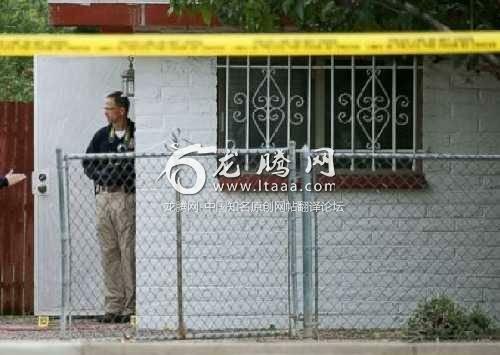 Tuscon police officers responded to the scene shortly after the shooting and surrounded Schlesinger's one-story home. The suspect ultimately surrendered and was taken into custody without incident or injury, authorities said. White was rushed to a local hospital where he died. "This is a tragic night for law enforcement in Tuscon and obviously across the state of Arizona," Tuscon Police Chief Chris Magnus said at a press conference Thursday. "Our hearts go out to this marshal's family." The police chief said serving warrants can be "very dangerous" work. "You never really know how somebody is going to react to that," he explained. "Obviously, a warrant still means that somebody has their day in court but there are times when the individual being served doesn't see it that way and we really don't know what's going through their head when they make a decision to do something like this." “The District of Arizona lost one of its finest last night. Deputy Chase White was an outstanding professional, a man who was dedicated to eradicating crime from the streets of Tucson,” said United States Marshal David Gonzales, District of Arizona. The Federal Bureau of Investigation is investigating the incident. “We are all extremely saddened by the tragic death of our brother, Deputy U.S. Marshal Chase White, last night in Tucson, Arizona. He was shot and killed while performing his mission." Acting Deputy Director of the U.S. Marshals Service David J. Anderson weighed in, too. Federal agencies are working with the Tuscon Police Department to investigate the deadly shooting. "It's very tough and it’s hard to make any sense of it, but that’s what the investigation is for and we’ll know more in the upcoming days and weeks," Magnus told reporters when declining to provide more details on the incident. Arizona Gov. Doug Ducey took to Twitter to express his "deepest condolences" to the slain marshal's family and fellow law enforcement officers.